Skills for Success is the first content-based skills text to integrate English language instruction with the teaching of skills essential to vocational or college-based students. 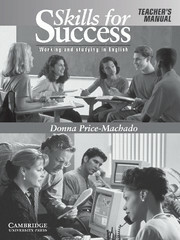 Theme-based and interactive, Skills for Success emphasizes development of all four language skills through co-operative learning techniques. The Teacher's Manual helps teachers with assessment, the SCANS Competencies, and the integration of both academic skills and work skills. 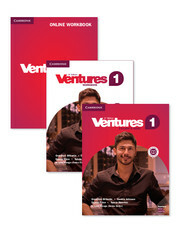 The SCANS competencies provide the underpinning for the Student's Book and the Teacher's Manual. Cooperative learning strategies and student-centered activities are provided for teachers to help students take charge of their own learning.